Batch Variation. 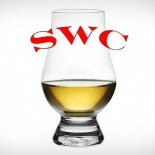 You see this cryptic phrase all over the whisky blogosphere. It is generally used to point out apparent differences from one batch to the next in whiskey production. Of course, whiskey is produced in batches, some small, some enormous, and for NDP’s, they have the perhaps the least amount of control from batch to batch. In other words, your batch is only as good as the source and quality available to you one month, the next month everything could change. So, when quality is perceived to decline in a sourced brand, batch variation is pegged as the guilty party. Of course, it’s also subjective in nature, so be skeptical when Dr. Blogger uses it. Our palates change over time, and therefore this “batch variation” may be just your evolving taste over time. The amateur experts of the world generally will attribute fault to the producer first and rarely him/herself. But hey, they can be right sometimes, too. 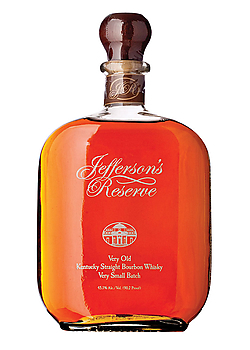 Another thing to point out before we get into Jefferson’s Reserve: NDPs (non-distiller producers, by the way) are at the mercy of the real producers on what stocks are made available to them. Think about it. In this current whiskey boom, do you really think producers are going to let their honey barrels go? Go to a big retailer and you will find re-bottled brands everywhere. Typically these brands contain lower quality stock for the very reason just stated. However, and this is a big however, it’s who you know, not what you know, and long time relationships in this industry are worth much. Trey Zoeller, creator of the Jefferson’s brand, has been doing this since 1997, LONG before this new age of whiskey we reside in. Much like a high end independent bottler of scotch like Berry Bros. & Rudd, one could safely assume that a long term relationship with a producer doesn’t mean he gets the runt of the litter. In fact, production may be planned and paid for long before hand. Nose- The classic aromas missing from “Small Batch” are nicely seated at the table. Vanilla, toasted sugar, old oaky sweetness. Blackberry and cherry. Funky old oak shed, but nice. Rye under the surface. Taste- Honey and oak, viscous. Buttery. Spicy and nice. Finish- Medium to long. Barrel char everywhere with some oaky vanilla. Drying. Comments- We are back to classic bourbon here, and that’s a good thing. What is not a good thing is the price. At $63.00 dollars you are competing with bottles like Booker’s, and for the flavor experience “Reserve” offers, we will go elsewhere with our money. A pleasant drink to be sure, but we’re not interested.